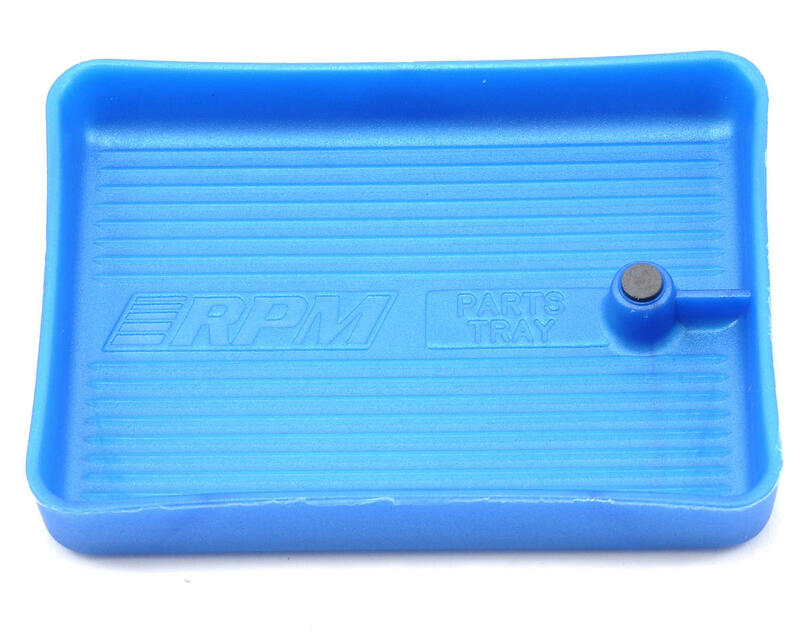 This is the RPM Small Parts Tray. 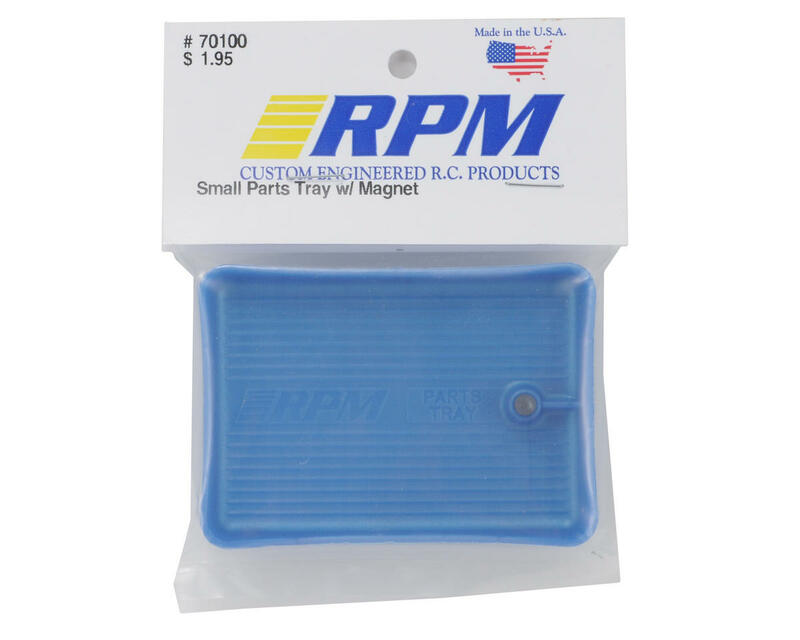 If you have ever lost any of those pesky little E-clips or forgot where you put some of your screws and nuts, then this little parts tray is perfect for you. It is molded with a round magnet in it to hold E-clips on their edge so they won’t get lost and are easy to pick up! Smaller than I expected and the magnet is not as strong as I thought. Decent if you roll all the pieces to the magnet side. But you can't beat the price! It's a good, inexpensive parts tray. 3 1/2" x 2 1/2" x 1/2"
nothin fancy, but it works... cheap too so you can get a few!! this thing is light, easy to "carry", good to take it to the local track, race.